Our own Noah Cory on CNN talking about his survival from cancer, Ryan's Foundation, and his first Never Say NO 5K in Beacon, NY last August! Thank you Noah. Your compassion to help others and to give back is humbling, admirable, and inspiring! We can't thank you enough for all you do for Ryan's Foundation! Never give up! THANK YOU NEW YORK YANKEES AND JOE GIRARDI! Special THANK YOU to the New York Yankees and manager, Joe Girardi for highlighting Ryan's Foundation on Saturday, September 2nd during the pre-game press conference. We are so honored to have the New York Yankees speak about Ryan's foundation and to help us in our mission to Never Say No! Not only is the NY Yankees Ryan's favorite team, but this is all happening during Childhood Cancer Awareness Month, as well as a little over a week from Ryan's birthday! ​Ryan was born on September 11, 1993. In 1995, he was diagnosed with stage four ewing sarcoma, a rare bone cancer. Ryan fought with bravery. This disease did not stop him from playing baseball, riding his bike, or wrestling with his sister, Tralee in the living room. Ryan is one of the toughest little boys. He went through more at four years old than most. From chemotherapy, hospital stays, to trips to Lourdes France, Ryan never gave up. Everyone that knew Ryan was touched by his innocence and never give up attitude. On August 29th 1998, God wanted Ryan to join him in Heaven. Ryan is in Heaven looking down upon all of us. 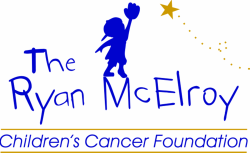 His bravery, determination, and spirit created this foundation to help other children and families fighting with life threatening illnesses. Everyday Ryan spirit lives on and will never be forgotten.